We Will Buy Your West Haven Property, And Make The Process Fast, Simple and Completely Stress-Free! We aren’t concerned with the property’s condition, size or price. We want to make you a fair and honest offer on it now! We have been in your shoes, and have streamlined our process to make things run effortlessly. No matter what situation you are in, or what property you are dealing with, we are ready to help you today! You can end the hassles, headaches and endless repairs today! What can selling your unwanted house do for you? Imagine… turning your unwanted property into cash in only a week! We do not need a lender, so there is no red-tape or waiting. We can close quickly because we have the funds to buy in hand! We are looking for houses in the West Haven area now! No matter what you are dealing with, we can help! Getting divorced? A fast sale will eliminate a ton of stress. Going through a foreclosure? We might be able to stop the banks and save your credit! Dealing with a run-down property, that needs a long list of repairs? We will take it off your hands! Getting ready to start a new job in a new town but haven’t been able to sell your house the traditional way? We can help! We have seen it all. 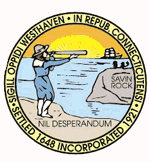 When you are ready to sell your West Haven house, we are here to help! Let Us Share With You The Incredible Benefits of A Direct Sale! Listing your home is NOT the only option. In fact, when you choose a direct sale, you will eliminate the use of an agent, thus not having to pay any commissions, agent fees, marketing or administrative costs. In addition, you won’t have to pay for repairs and upgrades. We buy your property as-is, so you can keep your money in your wallet! We will even take care of all the cleanup! Simply take what you wish to keep and we will take care of the rest. Selling your house doesn’t get any easier! Moving can be stressful on its own. We aim to make selling your current house a breeze! Call us now at (203)-513-9672 or fill out the short form below. We only need basic property information to get started with your offer. Selling the traditional way can be stressful and extremely time-consuming! Learn about the fast, fair and lucrative alternative we can provide for you! We want to help Connecticut residents get out of a situation where they feel stuck with a burdensome home. Our offers are always honest and fair. Find out more about what we can do for you! Fill out the short form below to get started! We buy houses in West Haven, Connecticut and the surrounding areas. Our offers are always fair and honest. We want to help you sell your West Haven home. Find out how we can help you with a direct offer today!